Hulu Is No Longer For Sale, Company Decides On "Business As Usual"
After months of speculation and various billion dollar bids from the likes of Google, Amazon, Dish Network and Yahoo the owners of Hulu have decided not to sell the popular TV and movie streaming website. 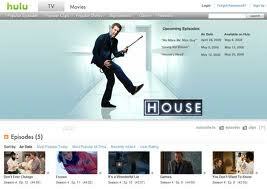 Hulu first considered selling the service when Yahoo approached them in June. While Yahoo, Amazon and other content companies offered $1.5 to $2 billion and Google offered more than $4 billion (with longer exclusivity terms) the sites owners decided that the web property was ultimately too valuable to their overall broadcasting strategies and promptly closed the sale. With the digital video landscape constantly changing and Hulu riding that wave of digital success it shouldn’t come as a surprise that a deal couldn’t be reached at this time.